Switch things up this Christmas and ditch the basic "Noel" stocking you've had for fifteen years. I personally love getting a box of mint truffles, a huge bag of beef jerky and an Outback gift card in my stocking every single year ever, but if you're on the fence about what to get in your stocking this Christmas, why not just ask for this awesome stocking in your stocking to replace your stocking for next year? 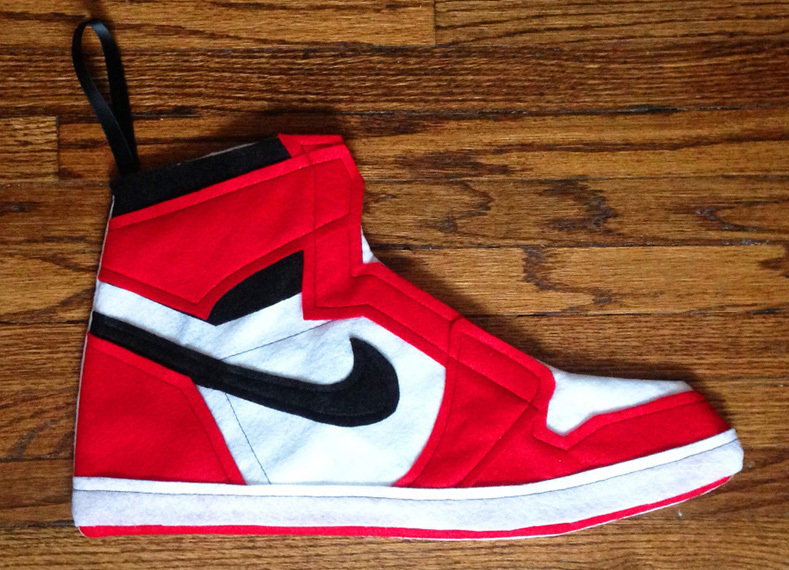 With actual realistic panel cuts and a High-top silhouette, this felt 9" x 16" Air Jordan 1 stocking can be had for a MJ-honoring $45 bucks over at 2AM Projects. Nicely done, guys.